t*rexes and tiaras: #irregularchoicechallenge Days 127-144..
Another round up post, which brings me almost up to date (as it's currently Day 146 at time of writing!).. Day 142 is a pair which I was given about five years ago. I've had them on display for a long time, but had never worn them before. They are just sort of crazy but the spoons and forks remind me of nursery rhymes. I got a lot of funny looks at the supermarket. I've never before worn Sky Fox (Day 140) but now that I have, I will be wearing them more often after the challenge. Smooch, Day 139, were a recent addition, but they went really nicely with my Boden Nancy dress and I like them a lot. Also wore the same dress with those unicorn print shoes from Day 135 and I really love those, but again, they are a pair I haven't worn for years. 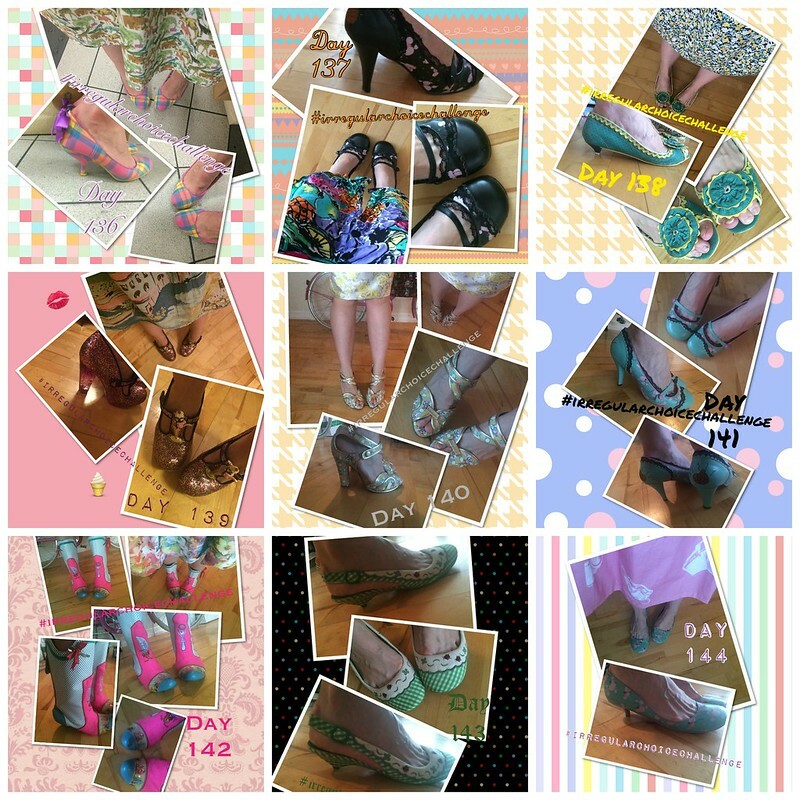 I've worn a few pairs with poodles on (although there are more to go) and a one of my pairs of Can Can (Day 136 heels and Day 130 boots) which is a really easy-to-wear style. There will be more of those to come before the challenge is through, too. Which is your favourite in this post? Haha, thanks very much, I reckon I'll easily make it to 200. Another great lot. Don't think I've seen those green sandals (129), the perspex heel like that is pretty old, so they must be an older style. I struggle to get into Sky Fox, can never decide if I'm best trying to slip my foot in or taking that fiddly button out. Both of mine (the unicorns and black ones) are hidden away, so I've not worn them for ages. Haha, I should really have started them in order, based on where they live. I have been wearing what I wanted to, which is meaning that I'm now having to search through for pairs I've not worn before - eep. 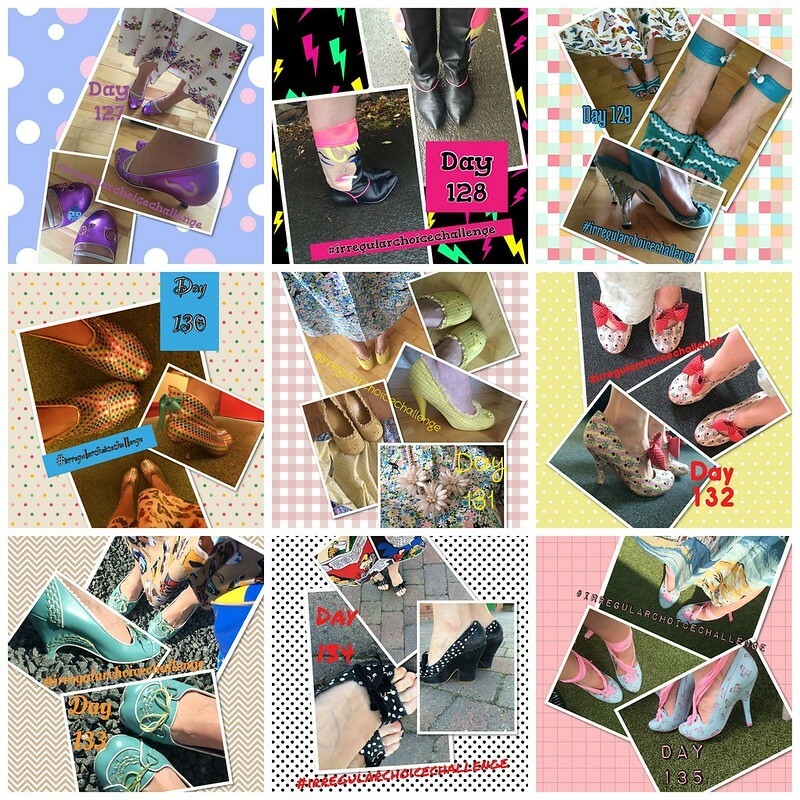 I Love this, you really are the biggest Irregular Choice fan, i hope they send you some shoes to add to your collection.